A few years back I stopped focusing on photography(I know, crazy right…)and became a Manager of the grocery store my father owned. It’s actually the grocery store our studio is directly across from now! 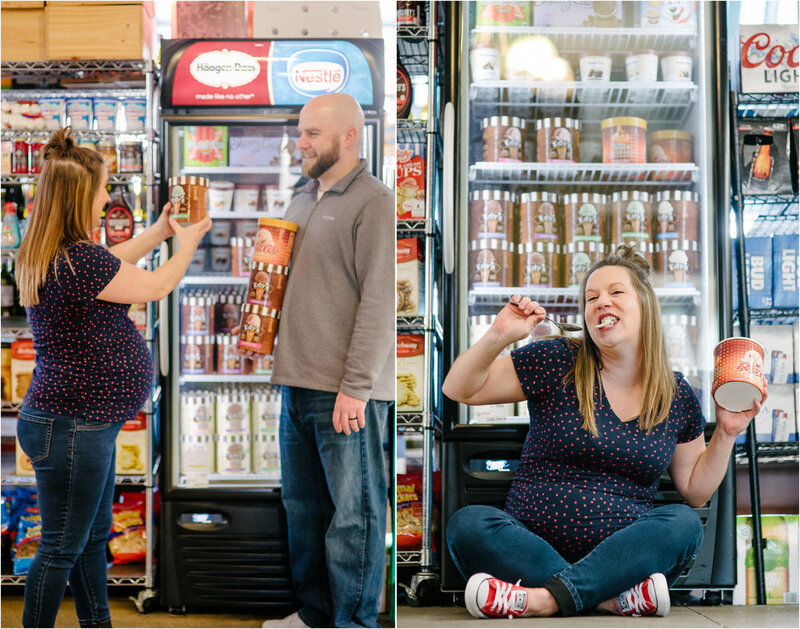 BUT, when I worked there I had this crazy idea of shooting a maternity session inside while she munched on all of her favorite craving foods! Amanda & Jake NAILED it. Amanda’s outgoing personality, which is why she is a rocking St Charles real estate agent, showed no mercy when it came to going all out and getting silly. Then we busted out the ice cream, cause she brought her own spoon, and the giggles never stopped from there! Plus Jake’s face made every silly thing 100% worth it. You can tell that silliness is part of why he married her! Love it! 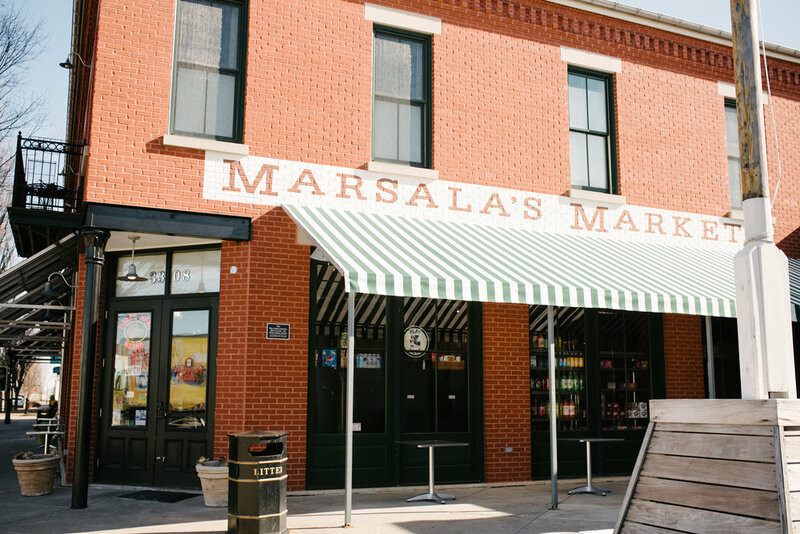 Marsala’s Market in New Town St. Charles was so generous allowing us to shoot inside their store. Even when we busted open the ice cream! If you are ever in New Town, stop in there for a delicious fresh made sandwich! I am so excited to meet Brinn in a few weeks and to see their little family grow from 3 to 4. Big brother is very excited for sister’s arrival and those moments of them meeting are the best!! 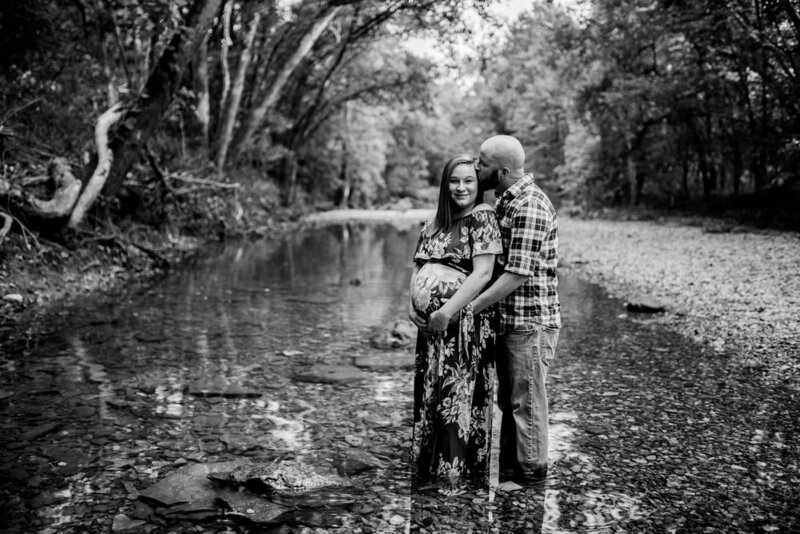 Mac and Erika are an amazing beautiful couple who are enjoying their honeymoon phase by welcoming another little one. 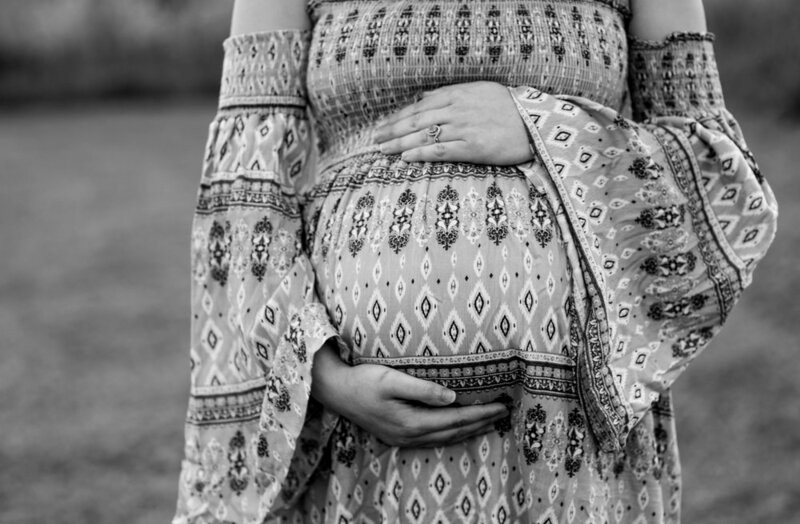 They are two extremely passionate people that are going to love this little boy fiercely, just like they do Big Sister Austen. I had an absolutely amazing morning capturing their love and joy for this new addition to their family. It's not often I get a couple that needs no direction in front of the camera. Chloe is an amazing lady. I met her on a business trip to Kansas City. She was running the hotel's front desk and we immediately hit it off. Friendship at first sight! We have stayed connected through Facebook and when she messaged me sharing the big news I was over the moon excited for her. We decided to meet half way at the gorgeous Rock Bridge Memorial Park in Columbia Missouri. The fall colors here were STUNNING! Chloe did amazing picking out her outfits too. During the session I realized I had not laughed that much in SO long. It really reminded me why I keep the friends I do. I absolutely can not wait to meet Mr. Carter in January. Chloe is going to be a rockstar Mama and I can't wait to meet Dad who unfortunately was on the road when we shot these. 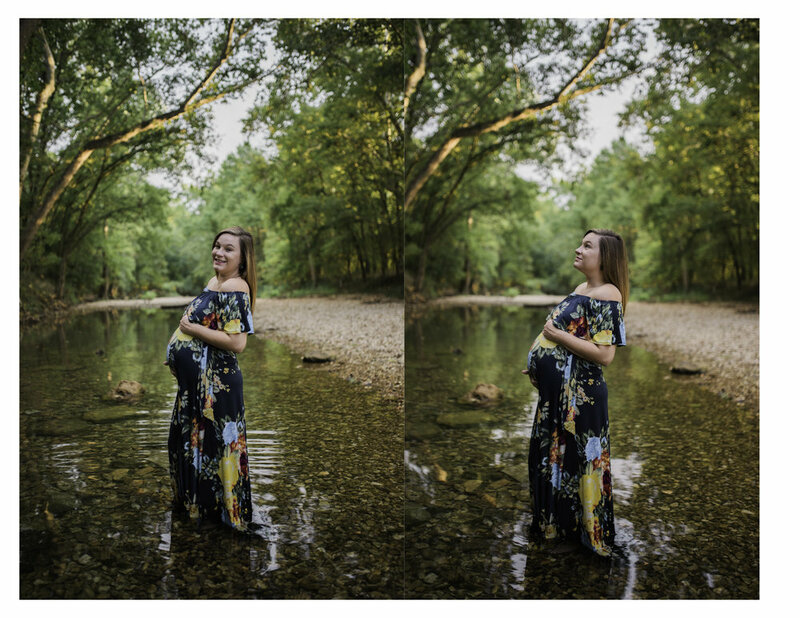 Thank you Chloe for trusting me to shoot these for you and I really can't wait to meet the new addition! The Jogerst family is getting ready to go from a family of 3 to a family of 4 weighing heavy on the boy side. That's right, Another baby brother is due in February! We were worried we were going to get rained out, but for the 30minutes we met up for, it was the most gorgeous sky the whole time. We even started to sweat a bit! So thankful Mother Nature held out! Isn't Nick's smile the best? I love the Doggett's. This family has been with Jheart since the very beginning. I have been around for the engagement, the wedding, Baby Annie, and now Baby MacKenzie! I am so excited that their family is welcoming baby girl #2 in November. Annie is the cutest little girl and absolutely hilarious. She is so full of character! She is going to be an outstanding big sister judging by the way she loves her new kitty! These pictures are one of the reasons I love Quail Ridge Park in St. Charles. The back drops around golden hour are just so beautiful and when you add a baby bump you get dreamy pictures. Brooke is one of the cutest pregnant women I have got to photograph and I think the best part is, she is kind of shy in front of the camera. Plus she picked my favorite colors for their outfits and my favorite location Quail Ridge Park in St. Charles. In October she, her fiancé Chuck, and their first born Jasper will be welcoming Sonny, a nice little brother for Sir Jasper to play with. I hands down think Jasper is going to be the BEST big brother ever. As soon as I told Jasper to run for a minute while I shot Mom & Dad, he took off so fast and did NOT want to come back!! HAHA But then he would shoot that million dollar cutest little boy smile and my camera would go crazy. This growing family is definitely now one of my favorite families to shoot. They were sweet, they laughed, they played, they hugged, they are everything a photographer wants to shoot. Thank you so much Chuck & Brooke for asking me to capture this special moment in your life. Danielle & Devon have asked me to capture so many amazing moments of their life. I have been their for their engagement, their wedding, their one year anniversary, and when they welcomed their new puppy. But I would have to say, watching them prepare to become parents has by far been my favorite moment with them. Devon's love for Danielle has completely evolved, that only happens when one watches their wife become a mother. Danielle is absolutely stunning rocking that baby bump. Along with all of their close family and friends, I am so very excited to meet the newest addition to the Sawyer house. And learn his name...currently he has been called "the bump" & Devonte, but this is just "fake news".